3. Y'all Connect - Where will our guests be partying in 2 weeks? 4. Wade on Birmingham - American Idol (and soon, Biggest Loser contestant) Ruben Studdard sings a patriotic number. 5. Birmingham Blogging Academy - The story of how I got into the conference business. 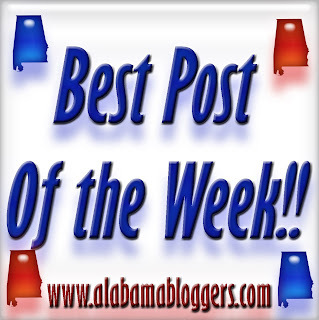 No new posts for me, just wanted to stop by and introduce myself, I'm a beauty/fashion blogger in Montgomery, I haven't been blogging long but I'm improving week by week. I am so glad I found you! I just linked up a little day trip to Monteagle, TN to High Point Restaurant.